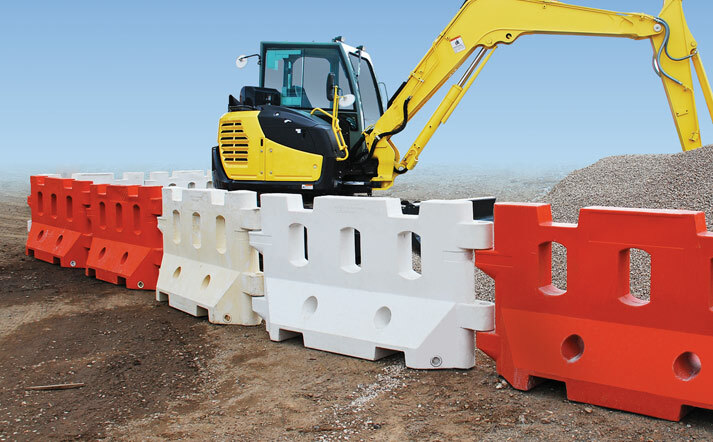 Low speed vehicle and pedestrian traffic delineator barrier. Applications include: civil construction projects, building development sites, sporting events, car parks, general pedestrian delineation and crowd control. Call us now for a free quote on 0800 865 292. The Fortress Water Filled Barriers are manufactured from a tough, high impact polyethylene which ensures flexibility and durability. This lightweight material means that two people can install a complete system of water filled barriers to meet any situation. Once filled with water they create a sturdy and robust free standing barrier. This lightweight barrier solution is an interlocking system that allows each barrier to remain connected while angled over 90 degrees. 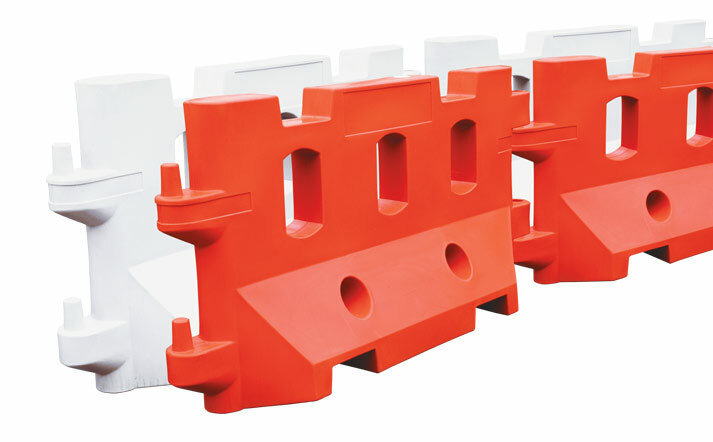 Coming in orange and white, the water filled barriers provide high visibility and are able to separate any size area of hazard or prohibited zone. Another great feature of the water filled barriers is the ability to fasten mesh panels or plastic hoarding giving added security to your site and a great opportunity to promote your brand.